PHL International Airport has implemented a new screening question mandatory for all passengers flying inbound from LAX and BUR. 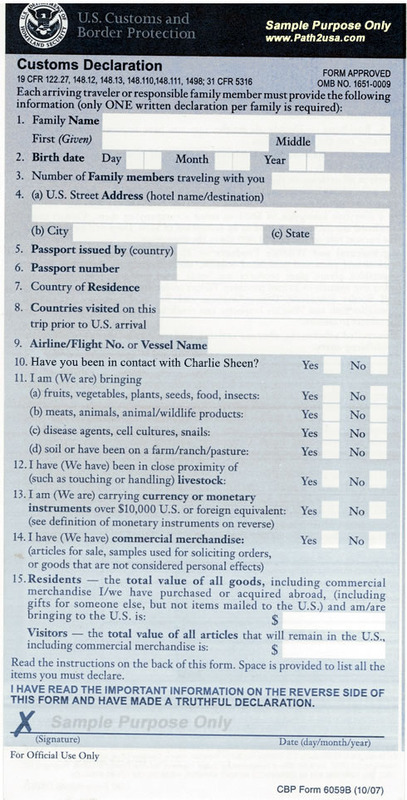 After Charlie Sheen’s recent announcement that he is HIV positive, visitors and returning Philadelphia residents are required to answer whether or not they have been in contact with him. Fred Donnelly, head of US Customs and Border Patrol, stated yesterday that “this newly added component will reduce the risk of contracting HIV.” Sources say that this screening process will help to maintain the city’s reputation after having been damaged by the 1993 film Philadelphia.